SERVPRO Brings the Experience, Expertise, & Equipment to Water Damage Emergencies! 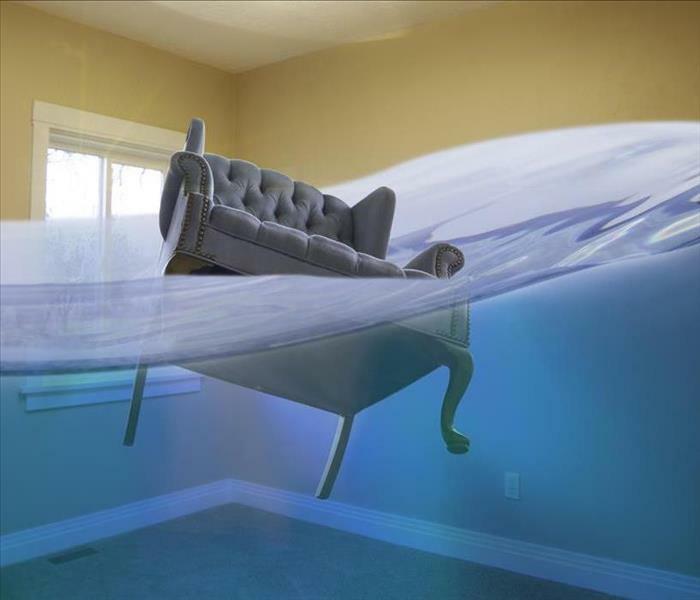 Our SERVPRO team is equipped to handle water damage disasters of all shapes and sizes. A thorough remediation service is one that does not require repeat visits to the property weeks or months after initial service. The presence of moisture is a contributing factor to microbial growth which can cause further damages in the home. Controlling microbial growth as well as removing and drying a structure requires professional expertise as well as advanced remediation equipment. We provide technicians with qualifications from the IICRC for water cleanup in Dallas homes. Our service offers a two-stage procedure to both remediate the immediate concerns and potential secondary damages. That means using our expertise to control microbial growth while service is carried out, ensuring your property is restored to its preloss condition. Moisture is the leading factor in allowing microbes to grow. It makes sense then that thoroughly drying property is critical in the first stage of the operation. SERVPRO technicians are equipped with thermal imaging cameras that use infrared light to detect damp spots or moisture pockets. We also carry moisture meters that can be used to penetrate beneath the surface of hard flooring or sheetrock to assess the level of water saturation within. Finding where moisture is residing helps to inform us of the type of equipment we need to remediate your property. Water beneath subfloors can be extracted using drying mats. This equipment, which is placed on the floor, cover a large surface area. The central area of the mat attaches to a vacuum to draw water from the floor without damaging or scratching the surface. Once the fast-drying process is complete, SERVPRO can adopt the second stage of treatment to reduce the likelihood of microbial growth. The removal and disposal of any porous contaminated materials are necessary for this step. We can also thoroughly disinfect surfaces and apply anti-microbial treatments to walls, floors, and upholstery. You need a comprehensive strategy for effective home remediation, contact SERVPRO of Southwest Dallas at (214) 463-5880 for assistance. For more on Dallas, click here. You can reach our dedicated water restoration professionals anytime by calling (214) 463-5880. With the amenities and stellar customer service that you provide, your Dallas resort has become a premier destination for those traveling through the area. With the booming metropolis of Dallas nearby, your guests vary from vacationers to business parties looking to unwind after long days of conferences and meetings. When water loss incidents occur in your facility, it is vital to get these situations resolved as quickly as possible to both protect your resort and its reputation with guests and the online community. While you undoubtedly have a custodial staff and a maintenance team to handle situations, for loss incidents, these teams are often inadequately trained for full-scale water cleanup in your Dallas resort. Our SERVPRO professionals have a 24/7 response to water loss incidents, arriving with the full measure of our IICRC-certified water restoration and structural drying specialists and the industry-leading equipment for effective mitigation that can save you money and get restoration completed quickly. It is our business to get you back in business. While water loss incidents can inconvenience guests and company parties staying on the property, fast response to these situations can ensure that the area to get restored is much smaller and more manageable. Our professionals can also offer effective emergency repairs, fixing concerns with plumbing or structural damages that have allowed the water damage to occur or that are necessary to return your property to its original condition. With a broad volume of recovery equipment, our SERVPRO team can arrive with multiple air movers, dehumidifiers, and a variety of extraction equipment to remove excess water and moisture quickly from the affected areas. With the right response to these emergencies, we can often prevent the need for extensive tear out and reconstruction with our effective rapid drying solutions. 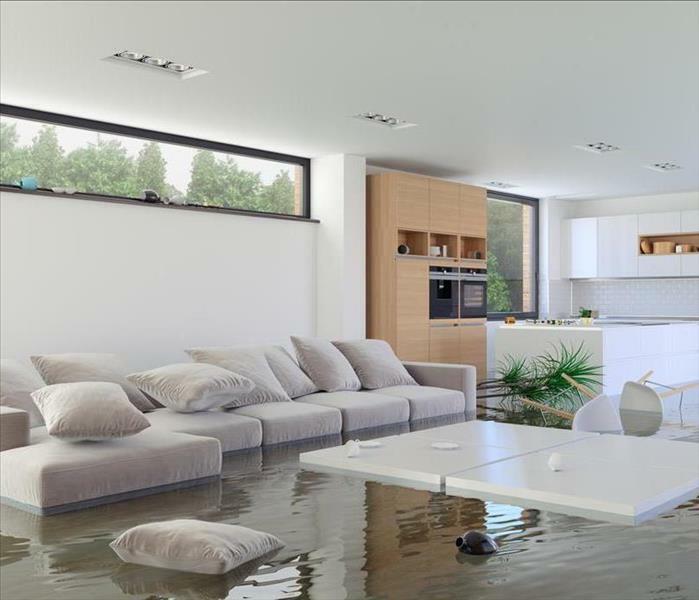 You have a reputation and guests to consider whenever water loss incidents occur, so trust our SERVPRO of Southwest Dallas rapid response team to arrive 24/7 with effective mitigation solutions. 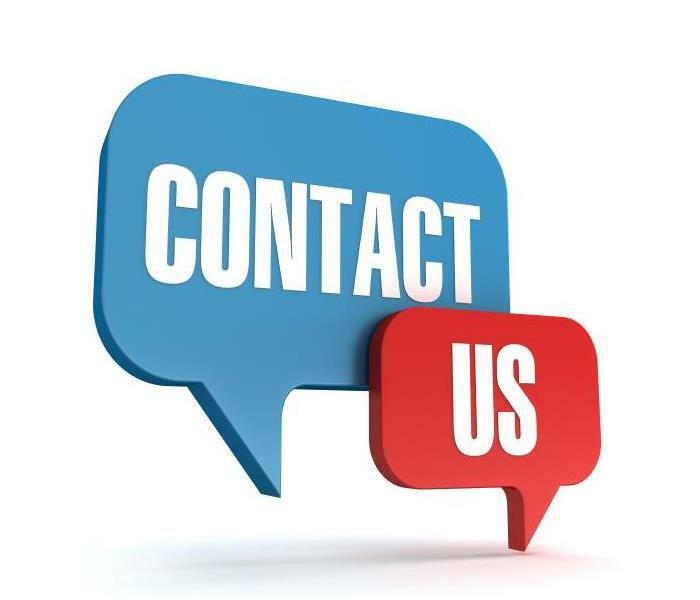 You can reach our dedicated water restoration professionals anytime by calling (214) 463-5880. After Wind Has Damaged Your Home In Dallas, Call Our Experts At SERVPRO! Our rapid response team can mobilize quickly with effective equipment to protect your property and begin its restoration immediately. Severe weather can affect Dallas homes in many ways. From torrential rainfall to gale-force winds that can uproot trees and knock over small structures, many properties cannot withstand these conditions for prolonged periods. Wind damage can affect your property severely depending on the force and the direction it travels. With the right conditions, you can lose portions of your siding and shingles off your roof, even if neither of these elements is aging or compromised already. When siding gets pulled, your gutter system can fail which can lead to flood damage to your Dallas property. What happens in these situations is either a pooling of water around the foundation of your house or direct exposure to runoff and torrential rainfall from the missing siding material. Our SERVPRO professionals can respond fast to storm damages, helping to lessen the impact of flooding on the inside of your house with our advanced equipment and expertise. From the time that our team first arrives at your home, we can get to work on extraction and emergency board up services and tarping. Depending on the damage to your home, these methods can keep the flood damages from getting worse while extraction and drying get underway. Once the storm has passed, we have professionals ready and able to get to work on restoring the outside of your home as well. No matter what damage has occurred to your property, we have licensed contractors on our SERVPRO team with years of experience in general construction to offer fast and professional results. This approach for our customers saves them time and money, not to mention the hassle of locating a reputable residential contractor on their own after severe weather that has likely affected numerous houses throughout the community. Many steps must occur after storm damage has allowed flooding to happen in your home. 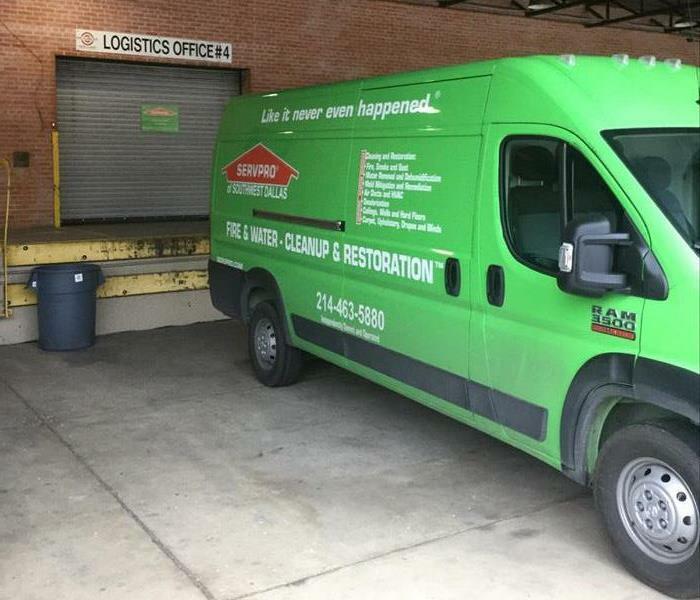 Our SERVPRO of Southwest Dallas rapid response team can mobilize quickly with effective equipment to protect your property and begin its restoration immediately. Give us a call 24/7 at (214) 463-5880. Don't let a fire take over your dream home. Call SERVPRO to remediate any fire damage quickly. 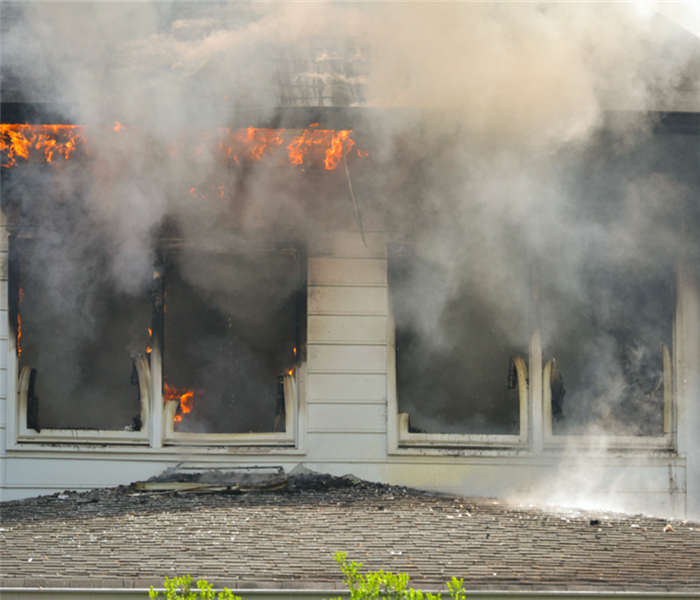 A housefire usually burns two distinctive types of material. Natural materials like woods as well as synthetic ones like plastic. Both materials release smoke and can leave soot behind throughout the home, even when the fire itself is contained in a single room. Firefighting procedures often incorporate shutting off electricity and using water to control flames. The presence of excess moisture can set soots or residues into porous surfaces making them difficult to clean. A homeowner with fire damage in Dallas should seek professional help to return their property and possessions to preloss conditions. During a fire, toxic gases like monoxide are released forcing inhabitants to evacuate the property. These usually dissipate within an hour of putting the flames out posing no threat to your health. However, the thick odors and soot deposits can be an irritant, particularly if you suffer from respiratory problems like asthma. Local SERVPRO technicians can be with you within four hours of notification of loss. They immediately set to work restoring power to the property and conducting a visual inspection of the site. Using their training, technicians can pre-test fabrics to see which types of material have burnt in the fire- either synthetic or natural. Doing so helps to establish an effective plan of action that can save time. Charring occurs when dense materials are exposed to naked flames. The removal and safe disposal of these items is an immediate task for your technician to do. In high-temperature fires, structural components can show signs of charring. Using sandblasting techniques, SERVPRO can remove these elements leaving behind smooth surfaces ready for repainting. At the end of service, SERVPRO conducts a walkthrough as standard. This procedure is to communicate outcomes with you, as well as the work completed onsite. Any non-salvageable items can be added to an inventory for passing on to your insurance adjuster. We can also contact third-party general contractors on your behalf to conduct remodeling or repainting work. Getting your property back to preloss conditions is what we do, contact SERVPRO of Southwest Dallas at (214) 463-5880 today. SERVPRO of Southwest Dallas is ready to restore your fire damaged home. After a disaster in your Oak Cliff home, many owners want nothing more than to get back inside and determine the scope of the damage for themselves. While you might do this to understand the effects of a disaster on your property better, many others do it to begin to assess an expected cost to restore or repair damaging effects to the house. 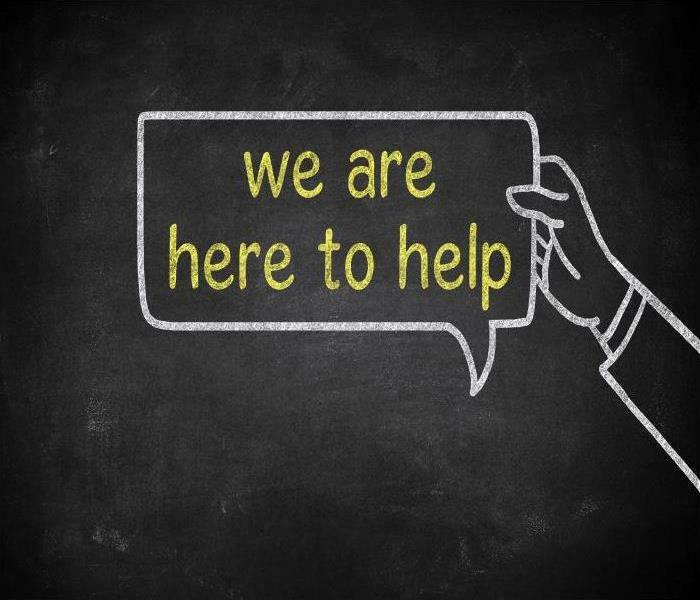 The best solution after a fire has occurred within your home is to reach out to our rapid response team to get a thorough and honest evaluation of the effects and damages. One of the concerns about the DIY assessment of fire damage to your Oak Cliff property is the possibility of structural failure and weaknesses. 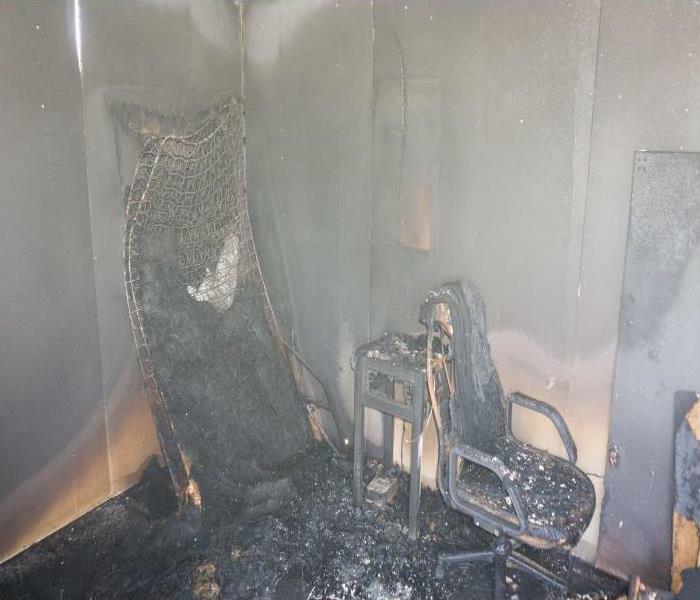 With widespread fire effects, materials like wood flooring and supports can quickly burn to the point of structural compromise, and not all of these damages might get readily seen to untrained individuals. Our highly-trained technicians have extensive knowledge of fire restoration and recovery so that we can offer effective solutions for our customers regardless of the severity of the incident. With structure fires, many materials and products can come into contact with the spreading blaze. What results sometimes is a volatile combustion of materials and chemicals that could be hazardous to breathe. Our SERVPRO team that arrives on site does so with the full measure of our personal protective equipment designed to keep us safe even in potentially hazardous conditions. Tools like our hydroxyl generators with HEPA filters can help to remove potential contaminants, particulates, and even noxious odors from the environment while restoration work gets underway. It might be tempting to rush into your home after a fire has gotten extinguished to determine for yourself how bad the situation might be. To keep yourself and your family safe, you should trust in the rapid response and experience of our SERVPRO of Southwest Dallas fire restoration technicians. We can show up fast with the equipment and experience to make a difference. Give us a call anytime at (214) 463-5880. Read more about Dallas here. 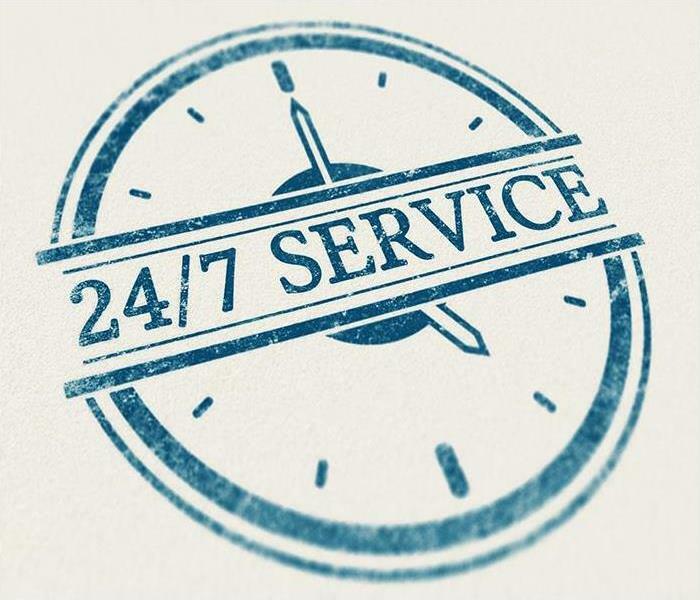 We are ready 24/7 to respond to your call! A fire breaks out in your Dallas dining establishment. It is short lived as sprinkler systems, and alert employees douse the fire quickly. The smoke and soot that a commercial kitchen fire produces can spread fast, moving into other areas of your restaurant even though the flames did not damage those spaces directly. Well-qualified technicians, following fire restoration industry best standards, implement a plan that manages all aspects of the recovery and gets you back in business. Commercial fire and smoke damage are a Dallas restaurant owners greatest fears. Not only does the emergency expose employees and customers to immediate danger, but an inexpert restoration effort can also drive customers away if the lingering effects of the smoke and soot are not eliminated. Even if your establishment has a trusted cleaning company or on-staff housekeeping staff, our skills and training are critical to complete all aspects of smoke and fire cleanup and restoration. SERVPRO sends IICRC-trained and certified employees and fully equipped service vehicles as quickly as possible after your call for help. A seasoned crew leader assesses the damage and prioritizes the tasks. Water and chemical extinguishing substance removal is first, followed by an evaluation of the smoke damage. The protein-fueled fire usual in kitchens creates a noxious smelling smoke that deposits a thin, extremely adhesive soot on surfaces. SERVPRO professionals use appropriately matched cleansers on this lacquer-like coating. We also choose tools that help our crew loosen and dislodge the residue, employing agitation and careful abrasion to remove the smoke damage. The team does not limit our efforts to the kitchen. Every surface in all the spaces -- dining areas, restrooms, coat checks, front desk, lounges, and the rest -- are inspected, cleaned, and treated. Smoky odors persist in the air and settle on surfaces, particles carrying the smell working their way into crevices and fabrics. SERVPRO handles odor eliminating systematically, removing foul-smelling objects and cleaning thoroughly to begin. Advanced odor elimination technologies like thermal fogging and hydroxyl generators seek out the smallest odor bearing particles. These options neutralize the smell at the molecular level, ridding your restaurant of this last sign of smoke damage, not merely covering up the stench. Rely on SERVPRO of Southwest Dallas to handle all the challenges of restoring the smoke and other fire damage in your commercial property. We are ready 24/7 to respond to your call at (214) 463-5880. Our team of experts has the right tools to restore your home after a flood. When your home sits in a relatively low area of Dallas, it can become flooded more easily than homes on higher ground. Something as seemingly benign and necessary as construction a few miles away can cause water to divert from past drainage patterns and cause you problems. Other situations can also create problems for Dallas neighborhoods leading up to flood damage. Some of these can pour what seems cleaner water into homes, but SERVPRO treats all flooding as Category 3 water. Cleaning this level up requires sanitation practices after extraction of the water, as well as drying homes' interiors to pre-flood aridity. After we extract the water invading your home and remove all the flood damaged areas from walls and floors, we can begin drying everything from top to bottom. Drying second-story areas is also essential because of the amount of evaporation that takes place in flooded structures. Even in colder climates, air currents carry moisture to drier areas. This continues as long as excess moisture remains present. To fight this effect and prevent damage from taking place in upper levels of your home, SERVPRO uses air movers to prevent condensation on cooler materials. We also use desiccant machines to extract water vapor from the air. Having these run upstairs is more effective than only using machines where the flooding took place, on ground levels, merely because it catches water molecules where they travel. As we finish clearing your home of residual moisture, we can also use our hydroxyl generators to help clean the air of odors. While ozone machines cannot safely run in damp environments without running the risk of discoloring textiles, or in occupied houses, hydroxyl generators do not pose the same risks. Because it uses UV light to neutralize odors at their sources, hydroxyl so safe enough that food-packing facilities use it to improve working conditions without compromising food safety. 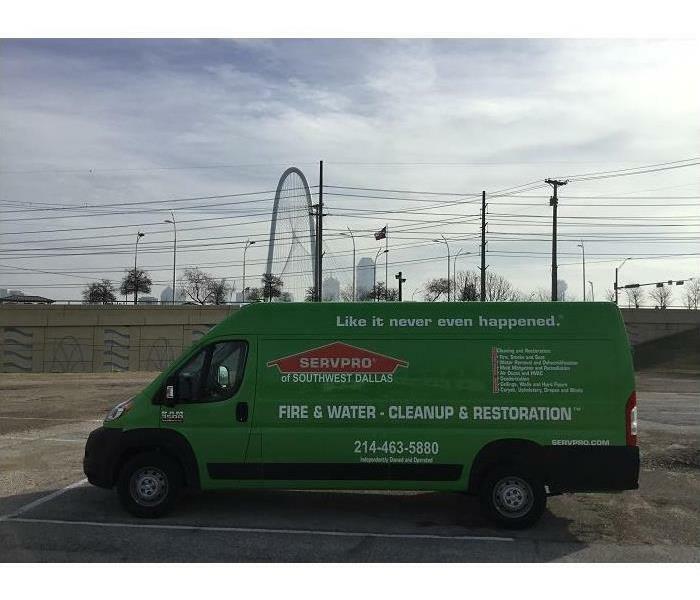 SERVPRO of Southwest Dallas has the professionals you need to restore your home in the Bishop Arts District after flood damage threatens your property. Call us for professional mitigation services for this and other types of damage. 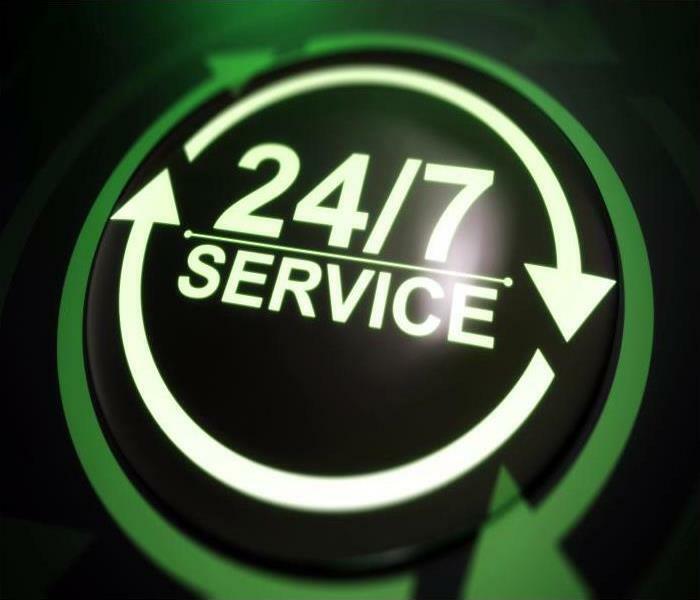 Our 24-hour service line is (214) 463-5880. Visit the Dallas Museum of Art click here for more information. If you ever need help with eliminating unpleasant aromas after a fire takes place at your residence, call SERVPRO of Southwest Dallas. Whenever something burns inside your Dallas home, the smoke created can cause soot residues and burnt aromas to exist. After the blaze gets extinguished, it is wise to call in a professional fire damage restoration company such as SERVPRO. When things burn, only some of the fuel used gets fully combusted or turned from a solid state to a gas when heat is applied. Many items only get partially consumed and get put into your indoor airflow in the form of smoke. Once these particles start circulating throughout your house, they begin to solidify onto cooler surfaces and cause soot removal as a part of your fire damage situation. These partially combusted particles can also penetrate deep into porous materials like carpet and fabrics. Even after all soot is removed during your fire damage situation in Dallas, eliminating unpleasant odors is often the last step. Sometimes foul smells can exist inside your contents as well as your building materials. When this is the case, we usually pack out your contents and deodorize them in a separate, clean and disinfected location. Our SERVPRO technicians separate your contents from your structure at times so that our deodorization techniques can work more efficiently to eliminate odors out of both your possessions and building materials. One way to eliminate smoke related odors is to utilize equipment that dispenses deodorant chemicals in the same manner as the smoke travels through your home. To do this, we can use fogging systems that break deodorants down to microscopic particles. A wet or cold tri-jet fogger can break compounds down to 20-50 micron size droplets. An ultra-low volume or ULV fogger can dispense chemical droplets down even smaller to 8-15 microns in size. For more severe situations a hot thermal fogger can be implemented to distribute particles as little as .5 to 2 microns in size and is used to penetrate chemicals deeply into materials. If you ever need help with eliminating unpleasant aromas after a fire takes place at your residence, call SERVPRO of Southwest Dallas at (214) 463-5880 24 hours a day and seven days a week. 4/15/2019 - SERVPRO Brings the Experience, Expertise, & Equipment to Water Damage Emergencies! 3/21/2019 - After Wind Has Damaged Your Home In Dallas, Call Our Experts At SERVPRO!